Companies including Sony have been doing their best to shut down developers who create Kodi add-ons that facilitate access to infringing content. 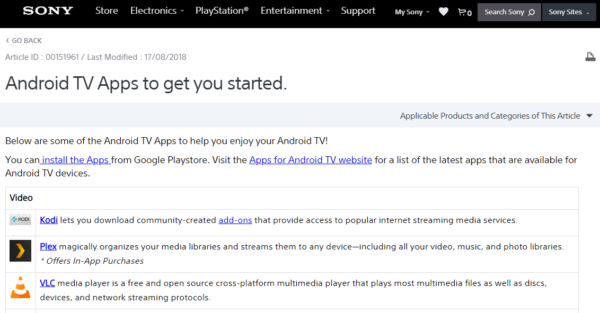 Given this background, it's perhaps a little surprising that Sony Australia is recommending users of its Android TVs to download Kodi to access addons "that provide access to popular internet streaming media services." Despite always operating within the law, the team behind the popular Kodi media player have found themselves at the middle of huge piracy controversy. While a stock Kodi installation is entirely legal, millions of users install special third-party add-ons that grant access to huge libraries of infringing content. This isn’t recommended by the official Kodi team but there’s little doubt that most Kodi users now connect the media player with free movies, TV shows, and live sports. To counter this threat, the Alliance for Creativity and Entertainment – a coalition of 30 media giants including the MPAA, Netflix, Amazon, Disney, and Sony – has been targeting developers of third-party add-ons that provide access to infringing content. Many have stopped their activities following legal threats but the ecosystem remains lively and as a result, Kodi remains popular with the public. With this in mind, it’s perhaps a little surprising that Sony Australia is actively encouraging users of its range of Android-based smart TVs to install Kodi on their devices. The hyperlink in Sony’s recommendation links to the official Kodi wiki which in turn links to official addons (which shouldn’t cause any legal issues) and unofficial repositories, which aren’t guaranteed to be problem-free by the Kodi team. However, the same page also offers a list of banned addons, which are mostly used to access infringing content. 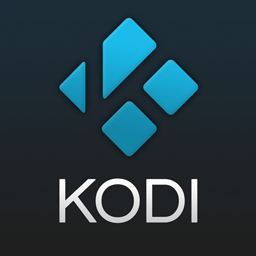 They can’t be downloaded or installed from the wiki page but they do provide a handy guide for users looking for an entry point into the darker parts of the Kodi world. At this point, it should be reiterated that stock Kodi is entirely legal and there’s nothing fundamentally wrong with Sony’s promotion of Kodi or legal addons. However, seeing Sony recommending Kodi’s ability to utilize third-party add-ons is somewhat of a surprise, given Sony’s efforts as part of ACE to discourage people from using those that infringe. Of course, that’s where the problem lies. The vast majority of users of Kodi and/or Sony’s TVs will not know which add-ons they are supposed to use and which ones are legal and which ones are not. That said, it’s almost inevitable that they’ll gravitate towards the ones offering the most exciting content, which means precisely the type of addon being targeted by ACE and by default, Sony Pictures. Still, if Sony is happy to recommend third-party Kodi add-ons to get the best out of its televisions, it must be confident that its customers will do the right thing. There are plenty of legal addons available but good luck to the layman when it comes to filtering them out.